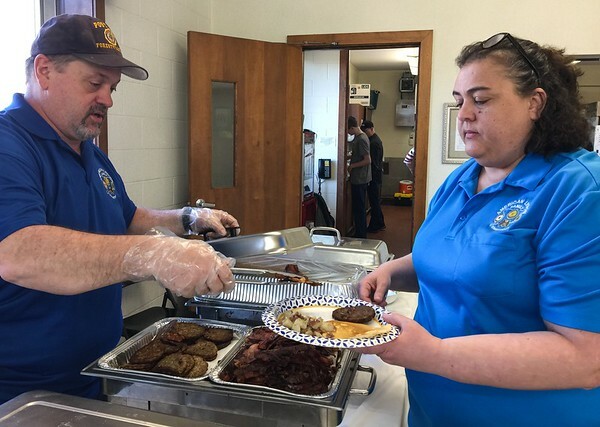 Michelle Jalbert | Staff Raymond LaBossiere serves Jennifer Mcleod bacon at the American Legion Post 209 breakfast Saturday. LaBossiere is the immediate past commander of Post 209 and currently third in command. Mcleod is an auxiliary member and unit president of Post 209 and the first district.